To prepare for Stage 2 Meaningful Use (MU), you first need to have met the Stage 1 core and menu structure criteria. For the remainder of this article it will be assumed you have already met the Stage 1 requirements. Some Stage 1 objectives were either combined or eliminated, as the program was evaluated. The remaining objectives for meaningful use from stage 1 will now become a part of the Stage 2 meaningful use objectives. Many of the objectives that were held over into Stage 2 have elevated expectations for the providers. It is expected that the providers reaching Stage 2 of the EHR Incentive programs will be able to easily show Meaningful Use (MU) of their Certified EHR technology for more of their patients. 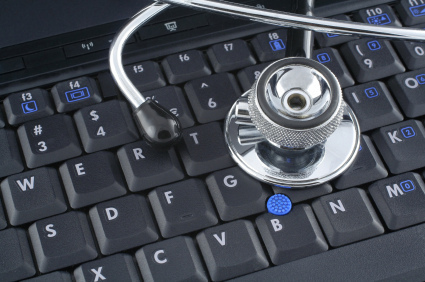 Stage 2 Meaningful Use (MU) contains new objectives. For many of the Stage 2 objectives there are exclusions to ensure the ability of providers to meet the Meaningful Use criteria within their normal clinical practice. Stage 2 Meaningful Use (MU) will be demonstrated by EPs by meeting 17 core objective and 3 menu objectives selected from a list of 6, for a total of 20 objectives. For a more detailed look at a comparison of Stage 1 to Stage 2 for Eligible Professionals (EPs) simply see this chart. Another difference between Stage 1 and the Stage 2 Meaningful Use (MU) is objectives, EPs will provide electronic copies of patients health information or discharge instructions. The new objective is to allow patient access to their information online. This includes the ability to view, download and transmit their information within 4 business days. A patient portal becomes an integral part of the Stage 2 criteria as it can provide patients with ease of access to records, with a way to educate patients and because all participating practices must "possess technology" for all menu items, even if not in use. Menu items that a patient portal will help your practice meet are, timely electronic access to changes in health information and patient related education resources. The core items a patient portal will help your practice meet are, electronic copies of patient health records and clinical summaries following each office visit. The Stage 2 Meaningful Use (MU) criteria stresses the importance of the free and meaningful exchange of health information between providers to improve care coordination for the patient. When an EP transfers or transitions a patient to another provider or facility they need provide a summary of care (SOC) for that patient in at least 50% of the cases. At least 10% of these SOCs must be provided electronically. The EP must also conduct a successful electronic exchange of the SOC to a recipient who uses technology designed by a different EHR developer than that of the sender. If the EP is operating in an area with a high concentration of one type of EHR or in and area with low EHR adoption then the EP needs to conduct at least one successful test with the CMS designated test EHR during the reporting period. EHR interoperability is considered an important goal among healthcare leaders who state that the smooth flow of clinical data across secure IT systems will advance the quality of patient care. The new Stage 2 Meaningful Use (MU) menu options for EPs include recording electronic notes in patient records, Imaging results available through CEHRT and record patients family health history. For EPs only, identify and report cancer cases to the State cancer registry and identify and report specific cases of other incidences to the appropriate registry.